We all want spring so badly. As the snow melts I get excited to look out at the garden. The only thing I see is the dead evergreen wreath I tossed out the slider in January. My solution is to purchase spring flowers at the market. It always helps so sew with pretty spring pastels. 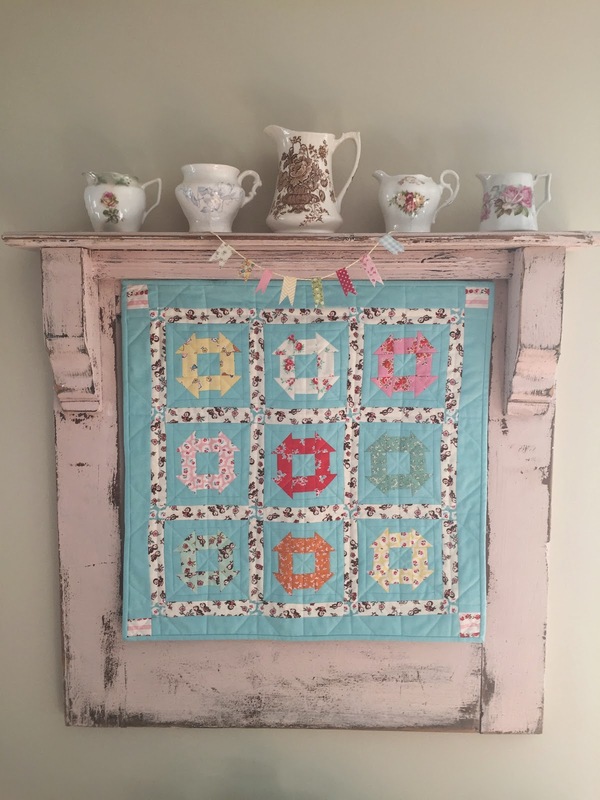 One cute little churn dash quilt can sure chase the winter blues away. 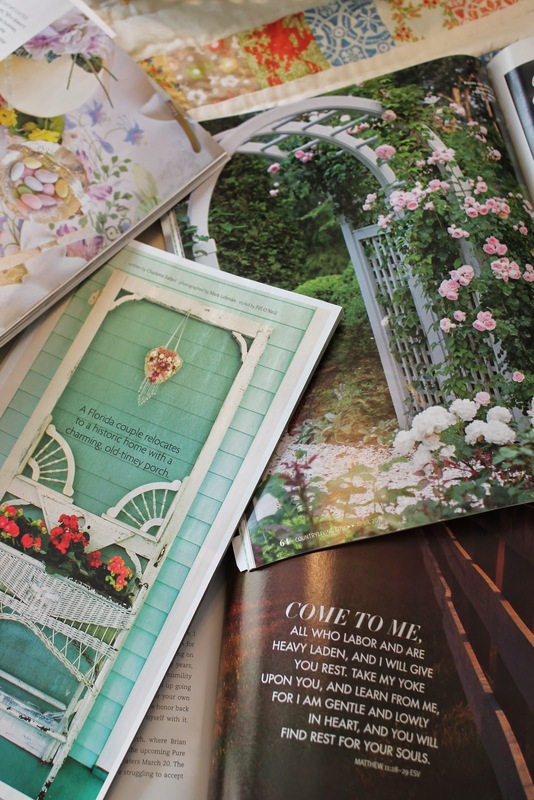 I also did a bit of fabric shopping and enjoyed pictures of gardens from some favorite magazines. I found a recipe for lemon lavender cookies and they taste like spring to me. It surely can't be long now, can it? There are signs of spring everywhere, it is nearly here. Looks like you are making your own spring with those beautiful fabrics. Cheery post! Come on Spring! It's here Renee! Can't you feel it in the air? 48 degrees and sunshine and I am sitting on my sofa soaking it in. The snow is melting fast and I don't even mind the puddles it leaves behind:>) This has been one long hard winter and I think we are all so anxious for this spring. It just gets better from here on out. 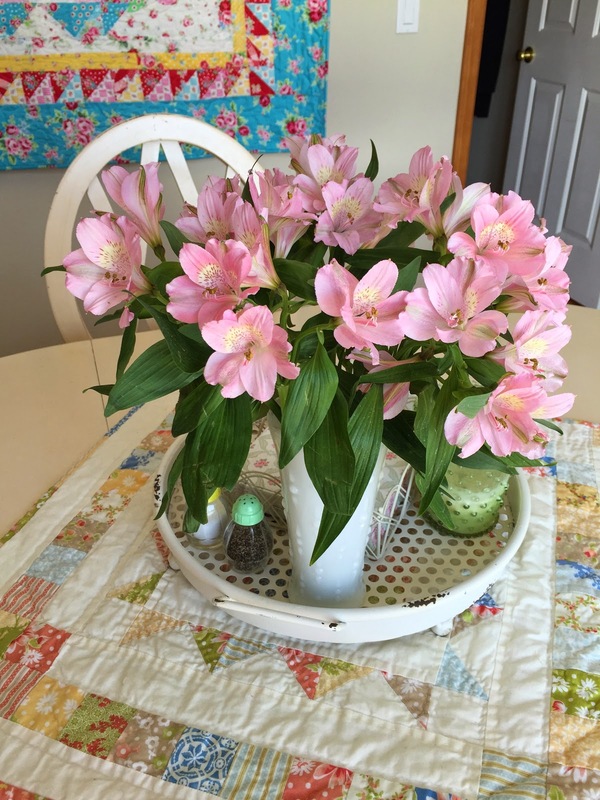 You know I always love your pretty quilts :>) They are the color of spring ! Love your churn dash! Mine is about 1/2 finished. Hopefully I can get some time in the sewing room soon. Just had to clean the hen house out today, could not wait any longer. Hauled the "stuff" in 5 gallon buckets on a sled to get it out of there. Boy am I tired. 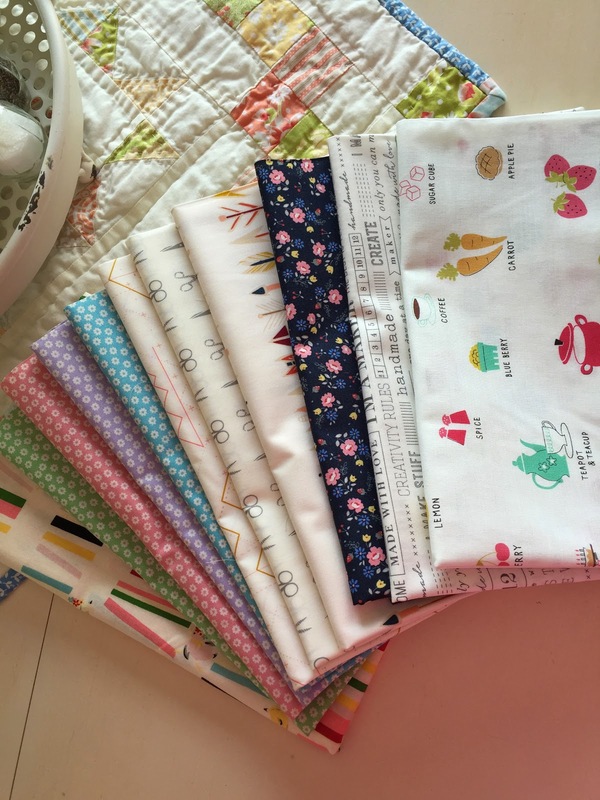 Renee, your spring vignette is adorable, and I'm in love with your churn dash mini as it's my favourite quilt block. Bless you heaps!